It’s a given that judging what you purchase solely on the price may save you money on the frontend but quite possibly be the most expensive way in the long run. There are so many examples of this in our lives that it’s refreshing when you find a product that is both priced competitively and top performing like the Leupold PinCaddie 2. 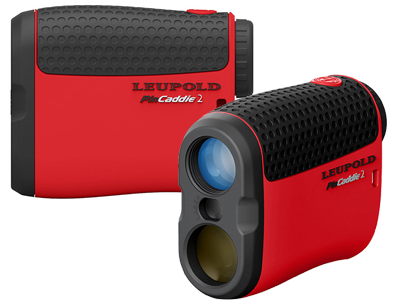 The company makes several models of laser rangefinders two of which I have favorable reviewed in the past year, the GX-1i2 and the GX-4i2, both being more expensive than the new PinCaddie 2. At $200 the PinCaddie 2 is all most golfer’s need to find yardage to the pin and with Leupold’s built-in technology to reduce false readings from trees or other objects in the background, it is an easy choice to make. Its light, just 6.3 oz., and will reach out to 300 yards when shooting at a pin which, let’s face it, is plenty for average players. The small size makes it easy to carry and use and of course the Pincaddie 2 is waterproof should you be caught in a shower. Originally the PinCaddie 2 review was to be part of the ongoing “10 Rounds with…” series but after just two rounds it was apparent this is a quality product, efficiently doing the job at a very attractive price. Negatives. If you have to have a fog-mode the PinCaddie 2 doesn’t have it nor is the aperture overly large which may or may not be an issue when wearing sunglasses or regular glasses. Recommendation. With the $200 price tag and Father’s Day coming up, it’s is a great time to buy a Pincaddie 2 for Dad or to treat yourself.